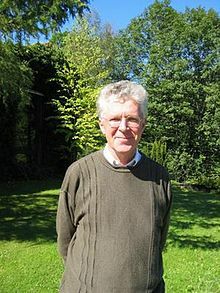 After graduating from high school in 1964 in Reykjavík, Yngvason studied physics at Göttingen University, obtaining his Diploma in physics in 1969 and dr.rer.nat. in 1973. His thesis advisor was Hans-Jürgen Borchers. Yngvason was assistant professor at the University of Göttingen 1973–1978, 1978–1985 research scientist at the Science Institute of the University of Iceland and 1985–1996 professor of theoretical physics at the University of Iceland. In 1996 he became professor of mathematical physics at the University of Vienna, where he is emeritus professor since October 2014. He was president of the Erwin Schrödinger Institute for Mathematical Physics (ESI) in Vienna 1998-2003 and scientific director of the institute 2004-2011. He was vice-president of the International Association of Mathematical Physics 2000–2005 and editor-in-chief of Reviews in Mathematical Physics 2006-2010. He is a member of the Societas Scientiarum Islandica and corresponding member of the Academy of Sciences in Göttingen and the Royal Danish Academy of Science and Letters, Copenhagen. For his work on Thermodynamics  he received, together with Lieb, the Levi Conant Prize of the American Mathematical Society in 2002. In 2004 he received the Erwin Schrödinger Prize of the Austrian Academy of Sciences. He is married to Guðrún Kvaran, professor of lexicography at the University of Iceland; they have two children. ^ Lieb, Elliott H.; Seiringer, Robert; Solovej, Jan Philip; Yngvason, Jakob: "The mathematics of the Bose gas and its condensation". Oberwolfach Seminars, 34. Birkhauser Verlag, Basel, 2005. viii+203 pp. ISBN 978-3-7643-7336-8; 3-7643-7336-9. ^ Lieb, Elliott H., Yngvason, Jakob: "The physics and mathematics of the second law of thermodynamics". Physics Reports 310, 1–96 (1999) . ^ Guðrún Kvaran (December 2010). "Curriculum vitæ". Retrieved 2011-01-30. This page was last edited on 23 October 2017, at 17:33 (UTC).